Young Thug looks like he's going to attack the leaf village. 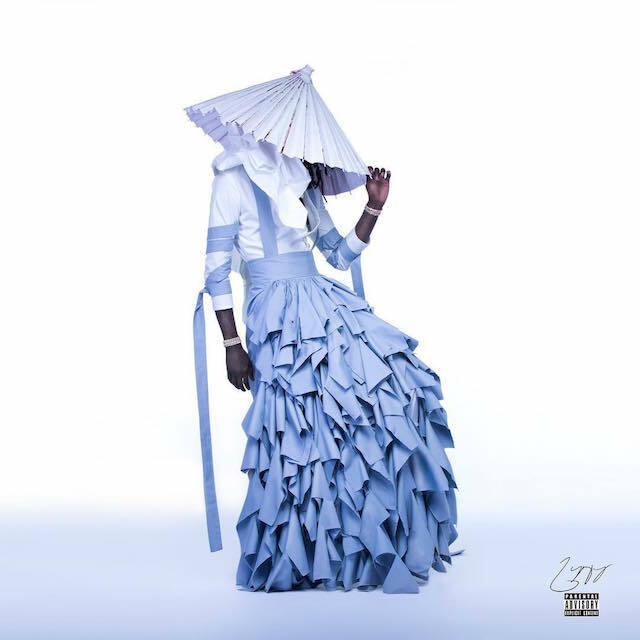 Young Thug released his album, No, My Name is JEFFERY on Thursday, but it’s the cover art that’s getting the attention (even more than the song named after the late Harambe.) On the cover, the Atlanta rapper wears an outfit by Italian designer Alessandro Trincone’s “Annodami” collection. On his website, Trincone describes the collection as a “culture crash” between the Italian Napolitan Sartorial style of dress and traditional Japanese culture, blurring the lines between gender norms. However, being self-proclaimed nerds and knowing next to nothing about fashion, we cannot help but feel that Young Thug is about to do a battle with a legion of rogue ninja, which is why we present this rundown of five Japanese animated icons we can’t help but think of when we see Young Thug’s No, My Name is JEFFERY cover. The Mizukage is the leader of the Land of Water in Naruto. That person is the strongest person in the village, regardless of age or gender. Alessandro Trincone and Young Thug clearly got the influence for the outfit from the blue Mizukage colors. We can envision Young Thug being the leader of the village, doling out responsibility and leading his warriors into battle. Shunsui is the captain of the 1st division in Bleach. He is known for his overly calm and flamboyant demeanor. He prefers drinking sake over fighting, even though he is one of the strongest captains in the Soul Society. Shunsui is not overly arrogant and prefers to stay out of the limelight, leaving a lot of the work for his more serious lieutenant, Nanao Ise. Young Thug would probably get along well with Shunsui. Although created by Russian-American animator, Genndy Tartakovsky, Samurai Jack is the story of a young samurai from feudal Japan, who is transported to the future by his arch-enemy, Aku. In this dystopian future, Jack is one of a kind as he still bears traditional Japanese dress and rocks a sandogasa, which is a traditional, Japanese hat. Young Thug’s hat bears a closer resemblance to the sugegasa, another traditional, Japanese hat. The Painted Lady is a river spirit that is located in a Fire Nation village from Avatar: The Last Airbender. Katara disguises herself as The Painted Lady to help the sick and hungry people in the village. Although considered a myth, the real Painted Lady appears in front of Katara after they help the village by eradicating the pollution from the town. Young Thug might not be the type to help a lot of people, but he does take after the river spirit. You knew that it was coming. Raiden is a video game character from the fighting series, Mortal Kombat. Although developed by an American gaming company, Raiden is based off of Raijin, the god of thunder and lightning in the Japanese, Shinto religion. Raiden is one of the original playable characters from the first Mortal Kombat game. He is not a person that you would want to trifle with. Check out Young Thug’s No, My Name is JEFFERY on Apple Music and Spotify.